When it comes to casual clothing items many people struggle with adding a little style and finesse into their look. It’s no secret how much of a Michael Jackson fan I am and I thought that with all the t-shirts I have I need to switch things up a little. My aim was to see what I can do to make some of my tees more feminine and fashion forward. I pulled out one of my favourites and decided to work with the colours there. Lucky for me black, white and grey were my choices. All MJ fans like to incorporate signature things from his look into their style especially when wearing something with his name or face on. I decided to play around with a style I like to call Billie Jean Chic. I would usually do the easy thing and wear an MJ t-shirt with a pair of jeans so I thought, let me go the other way and pick out a skirt. From Primark, this size 20 tube skirt was my choice. The horizontal stripes in black and white really compliment the t-shirt design and despite my belly being on show I still love the look and feel confident wearing it! I played around with the t-shirt tucking it into the skirt, tying a knot to make it more fitted in it’s style and letting it hang over the skirt. In the end I decided I prefer the tee either tucked in or draped over the skirt and knotted. As this is a men’s t-shirt in XL I wanted a more tailored fit for my more dressy style. We have recently got this t-shirt in stock over at King Of Shop so if you like it you can pick it up in sizes S-XL. 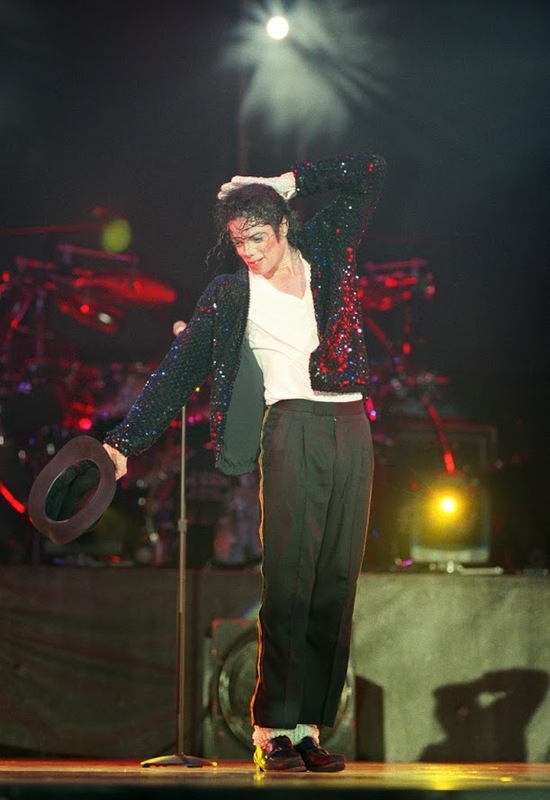 Billie Jean as one of Michael’s most famous songs sees the king of pop wearing the world famous black sequin jacket. Mine is the gorgeous Veronette Cardigan from Igigi, US Size 22/24. The Jacket comes complete with a sash belt which you can use to close the jacket and fasten it shut, I thought I would wear mine true to MJ’s style and leave it loose. XL tights from Primark and a pair or suede high heeled shoes I was more than ready to hit the town in this number! I like to showcase the fact that I’m an MJ fan and if I can do that with a little style and fun then I most certainly will! I’m sure you’ll see me playing around with some of my other t-shirts soon and you can give me your feedback lol. No MJ style look would be complete without mirrored aviators! When I saw this pair I had to do a double take as they are really similar to a pair he wore when I saw him in London for the 2006 World Music Awards. 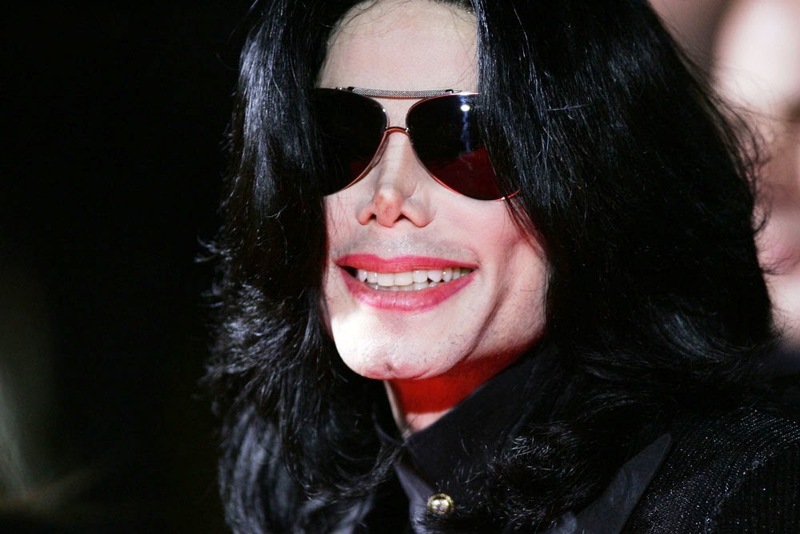 He wore the most amazing pair of diamond framed shades. Mine are of course an imitation but for £3 in Primark you simply can’t go wrong! Many of us have the odd outfit influenced by a celebrity and for me Michael was the one person who’s style I found to be a fun and playful challenge. His look was most definitely his own and as he was not afraid of sequins, glitz and glam I thought it might be fun to add a twist to his look and see if I could adapt it to suit my own.